We recently made a significant six figure investment to our factory in the UK with new and upgraded machinery which expands our capabilities, improving our offering to our customers, and the quality of product and speed at which we can produce. We have installed a new CNC (computer numerical control) machine which enables us to automate much of the manufacturing process, with the CNC machine working directly from the CAD (computer aided design). CNC machining is a massive advance in the manufacturing world, allowing more accurate and speedier output. Our factory can make real your creative ideas - the CNC helps! For our customers our new CNC machine brings a faster turnaround and lower costs. We can take on projects that were previously unfeasible, and we can work with less compromise or the need to find alternatives which could sometimes increase costs. 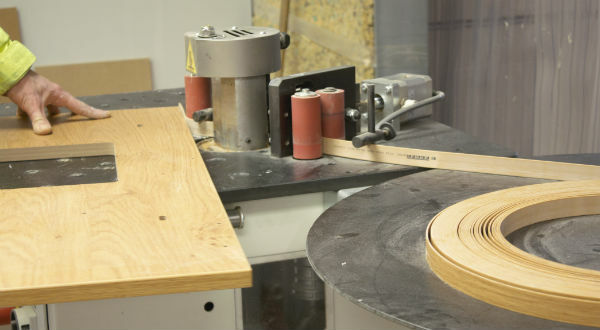 CNC also enables us to work with bleeds and trim accordingly and as needed; we can cut right to the edges which gives our designers more flexibility and avoids workarounds having to be designed in. Edge banding is the process of applying a narrow strip of material to an exposed edge, giving the final product a neat and more durable finish. We have installed new, upgraded edge banding machinery to our UK factory, improving our capabilities and offering to our customers. For our customers our new edge banding machinery enables us to produce a wider range of designs from our UK factory, to a high and consistent quality, with a faster turnaround. 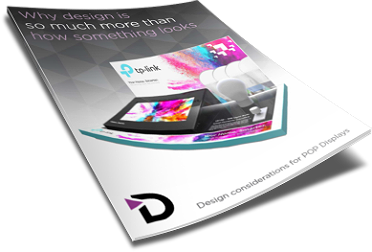 The range of capabilities that the machinery brings means our designers can work with more freedom in their designs and our customers have peace of mind that all materials will be produced to the highest quality and to their deadlines. Double-sided bending refers to the use of heat on both sides of a product simultaneously. Applying heat to both sides rather than just one reduces heating times and also enables thicker materials to be handled. Materials become flexible when heated and can be bent to the required shape which is then retained as the materials cool. 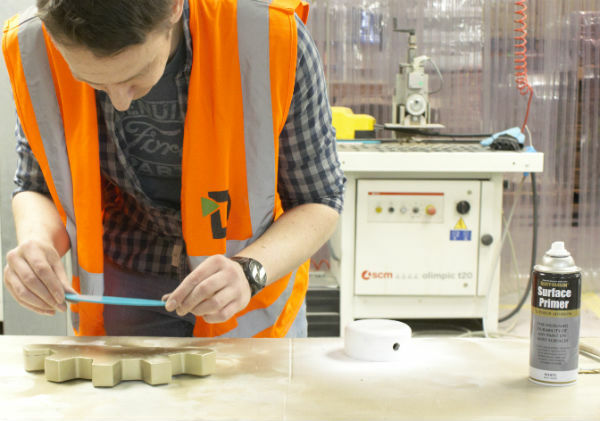 For our customers our investment has helped us to reduce timescales and has enabled us to work with a wider range of materials with more accuracy, providing our customers with more versatility in their designs and shorter timescales to delivery. Using a Rafix system and components to create non-permanent joints, our fast-track joinery capability means we can produce designs that can be delivered flat packed for reduced transportation and storage costs, but are also extremely simple for our customers to construct. The fast track to flexibility. Talk to our account managers. 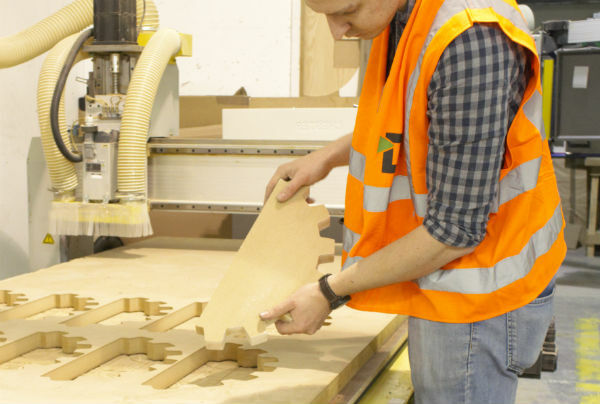 For our customers fast-track joinery brings new in-house capabilities to our UK factory, enabling us to work with our customers more flexibly and to meet a wider range of their needs. 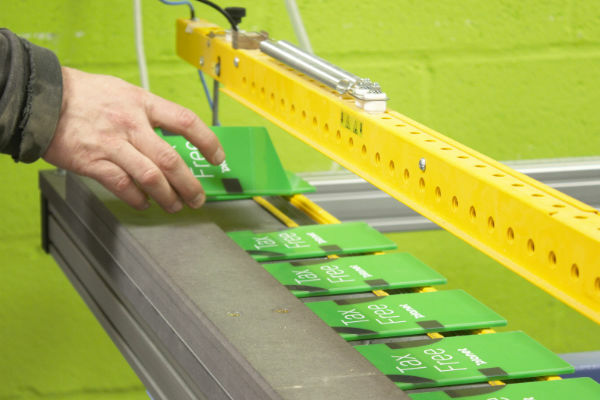 We can produce larger and smaller volumes and in a quicker time-frame; flat-packing means products are delivered and can be stored at a lower cost, yet are simple to assemble by in-store staff when they are needed. When deciding to invest we focused on the areas that would bring the greatest benefit to our customers. If we can make low volumes, then customers can test markets in ways they could not before; if we can reduce timescales, we can be more flexible on meeting promotional deadlines; if we have better techniques and can use materials in improved ways, then we allow designers more freedom and less need for compromise. By being better, we can serve better – this is our focus. Quality control. Did our design translate into the final product as intended? The market is tough, retail is struggling but DisplayMode is focused on investing to deliver value, new solutions and better efficiency to help our customers through this difficult operating period. The investment we have made to the UK factory means we can deliver our customers better quality, improved timescales and wider range of capabilities, and by producing more in-house we make significant cost savings which will be passed on to our customers.